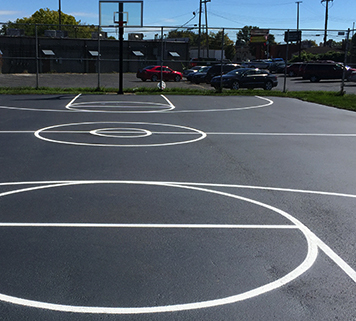 Flawless Sport Court Striping and Playground Stenciling Done Right, the First Time! Our quick-drying paints and equipment eliminate disruption. We're there and gone before you know it! While our jobs may be done quickly, they're completed with razor-sharp precision. We have been recognized across Southeast Michigan for our accuracy! We do municipal, commercial and residential jobs all around Southeast Michigan. We even have stencils for all major retail and restaurant chains! 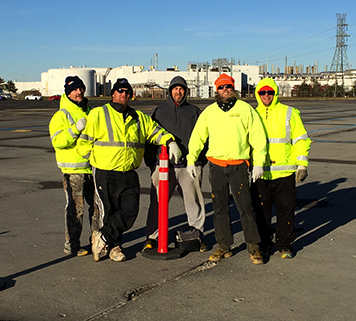 Southeast Michigan's #1 Pavement Striping Experts Since 2000! 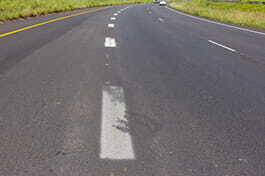 At Action Pavement Striping & Maintenance, our mission is simple: going the extra mile to ensure that our customers get quality pavement striping for a fair price with minimal downtime. We are family-owned and treat each job as if it was for one of our own family members. Quality craftsmanship is our commitment to you! 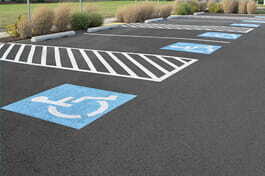 We have a reputation for being the best in our industry and are especially recognized for our parking lot striping. Our glass beading makes the paint reflective at night, which ensures the safety of parking areas. Our OSHA industrial safety lines are the best in the business for keeping factory workers safe. We love our Southeast Michigan customers and have since donated playground stenciling to local schools to show our appreciation. Each one of these projects is carefully planned and executed by our experienced professionals, all who share a passion for bringing your vision to life. Our uniformed experts have a wealth of knowledge in the industry and provide great recommendations on a situational basis. Our portfolio is very diverse, servicing municipal projects, property management developments and restaurant chains. All of our team members have a keen eye for the littlest of details and have been able to create truly flawless work each and every job. 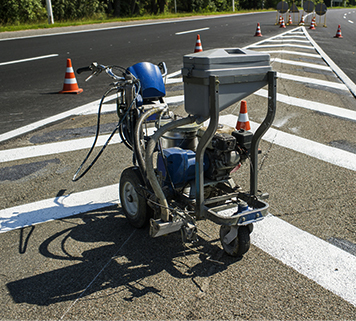 Great work comes from using great products, and we only use top of the line equipment and paints at Action Pavement Striping & Maintenance. 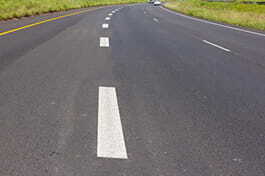 We are extremely detail oriented and strive for clean, straight lines in each and every job we complete. Our techniques are tried and true, allowing us to do a thorough job in a short amount of time. These specialized paints dry in minutes, ensuring that your business experiences minimal inconveniences, downtime and disruption. Don’t let the speed fool you, though. Sherwin-Williams paints have exceptional chemical and dirt resistance, easily adhering to concrete and asphalt surfaces for a long-lasting result. 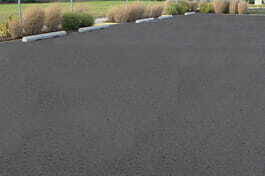 We use state-of-the-art LineLazer technology to lay down sharp, accurate lines on parking lots, roads and our recreational projects. They’re riding paint stripers and we “ride the line” to a crisp and clean finish every time. These machines simplify the process for us, allowing us to finish the job flawlessly in a shorter amount of time. This means you can get right back to work and experience as little delay as possible! Give us a call today for a free estimate or to see which of our services are right for you! We use Google Earth to carefully examine the area in which you want striped and are then able to provide a quote quickly and accurately. See Our Work For Yourself and Request Your Free Estimate!